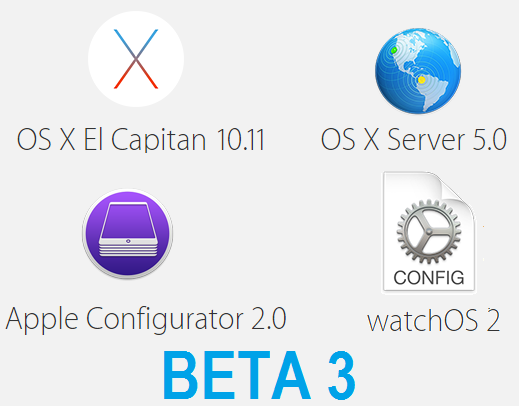 The third beta version of OS X El Capitan v10.11, OS X Server v5.0, WatchOS v2.0 and Configurator v2.0 has been officially released by Apple. Mac OS X device users can upgrade and install OS X El Capitan 10.11 Beta 3 (Build: 15A216g), OS X Server 5 Beta 3 (Build: 15S2175), Apple WatchOS 2 Beta 3 (Build: 13S5293f) and Apple Configurator 2.0 Beta 3 updates. Mac OS X developers and non-developers (general public users) can get the Direct Download Links of OS X 10.11 Beta 3 Combo, Delta Update .DMG Files and OS X Server 5 Beta 3 Update .DMG Files below. The official release notes of OS X El Capitan 10.11 Beta 3 (15A216g) includes; bugs fixes, stability, performance, security improvements and enhancements, new features and functionalities inclusion, such as, revamped Mission Control, new system-wide font and split screen mode etc. How to Install OS X 10.11 Beta 3 Update? Just go to Mac App Store >> Software Update option for free OS X El Capitan 10.11 Beta 3 official Update. 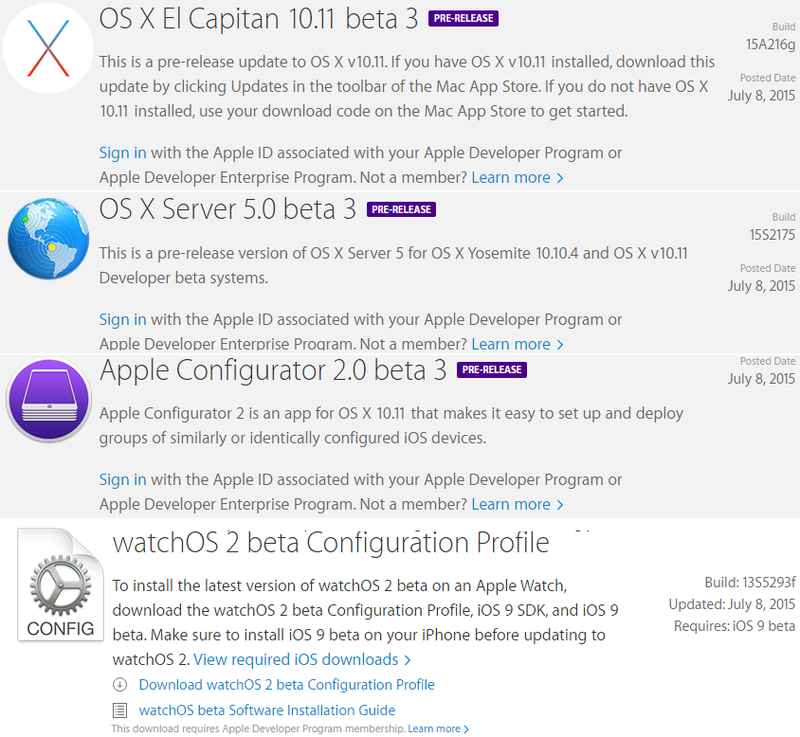 You can also visit OS X Dev Center website, if you're OS X developer for OS X 10.11 Beta 3 Download. Mac OS X non-developers can manually activate OS X 10.11 Beta 3 without developer account UDID using iTunes for free.